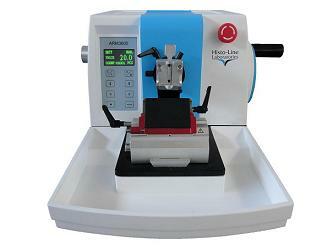 Fully automated microtome ARM 3750, top-of-the-line from Histo-Line Laboratories. 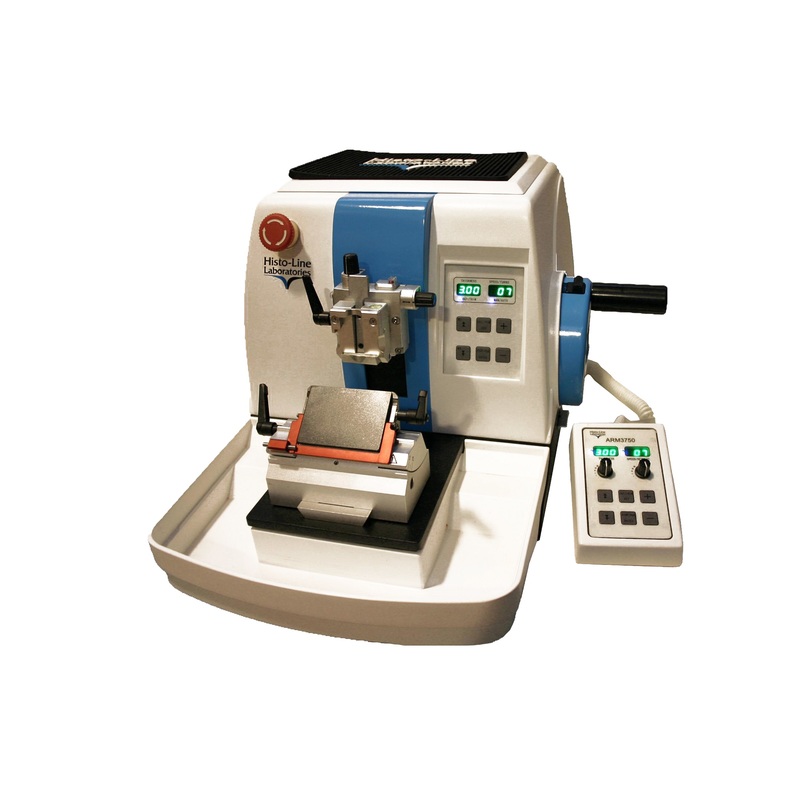 Is an automated programmable microtome with complete function of automatic sectioning, slice-micron counting, quick trimming. Suitable for sectioning hard to soft material for both clinical and research purpose. Handwheel can be locked at any position. Both steel knife (optional) and disposable blades can be used. 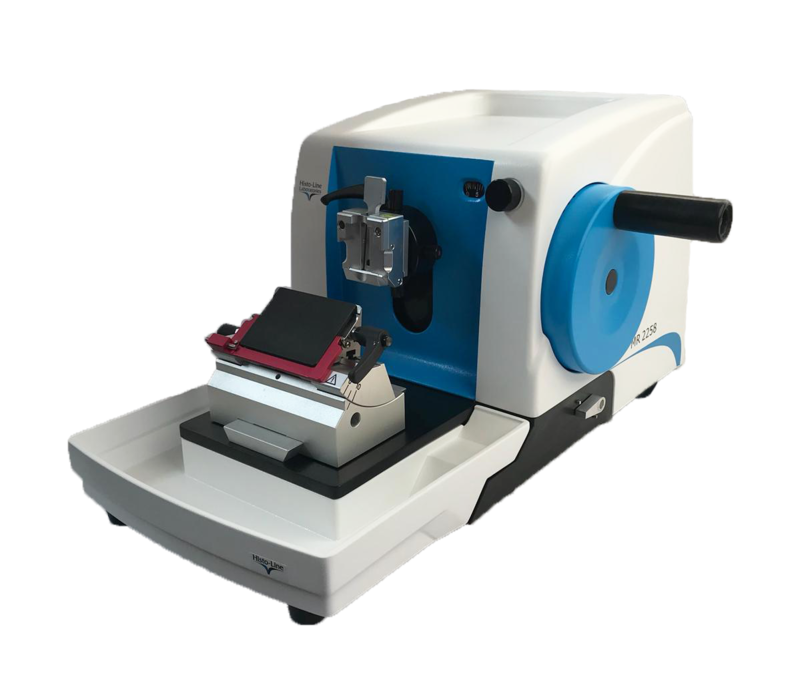 The clamp is suitable for all types of standard biocassettes and is interchangeable by the operator with the ring clamp (optional). 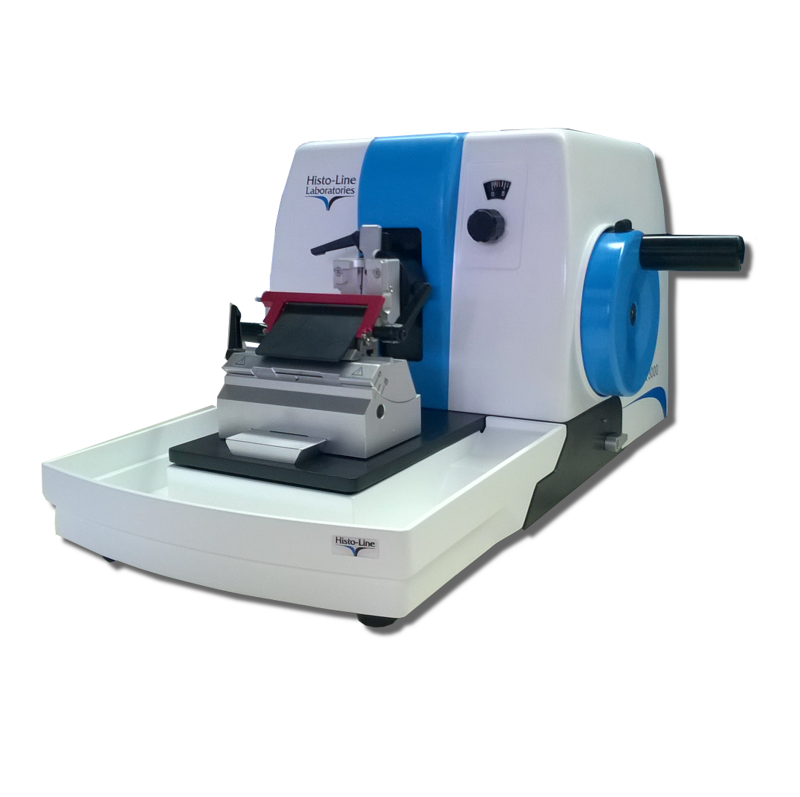 Stable in performance with automatic protection system, interchangeable specimen clamp. LCD display and separate keypad.